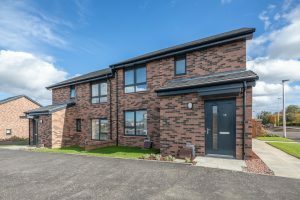 McTaggart Construction was appointed the Development Partner of West Lothian Council to provide a total of 193 Units for affordable rent across the West Lothian area as part of the Council’s larger programme to deliver 1000 new social rented houses. 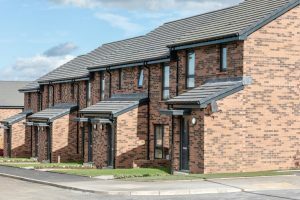 These developments were split over 5 separate sites throughout Linlithgow, Winchburgh, Pumpherston, Livingston & Bridgend and were carried out under a full Design & Build contract. The works include site development and servicing, substructures, superstructure, SUDS, site infrastructure, internal finishes, services and associated external works. beyond compliance throughout this site. The works on this site included the construction of insitu concrete foundations, timber framed superstructures with masonry external leaf and concrete interlocking roof tiles. Our works also included the formation of car parking spaces, hard and soft landscaping, fencing, footpaths and access roadways, and foul and surface water drainage facilities including SUDS.